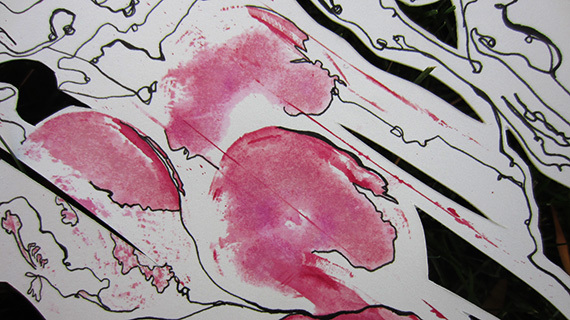 Using natural pigments to create work is something I’ve experimented with in the past. Pomegranates, blueberries, raspberries – they all have a lovely color that stains paper really nicely. So yesterday, after a friend had left some beets for us, I was excited to create a piece using beet pigment. Inspired by day 163’s piece in which I created drawings by finding pattern in the paint, I hoped to explore a similar path for yesterday’s work. 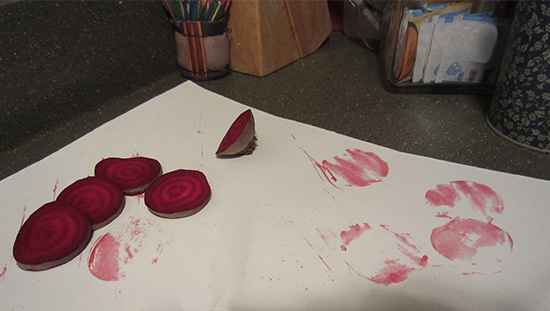 I started the process by pushing beets onto paper in order to create the initial design. From there, the stains would act as the base on which my ink drawing would build from – working around the stains on the paper. 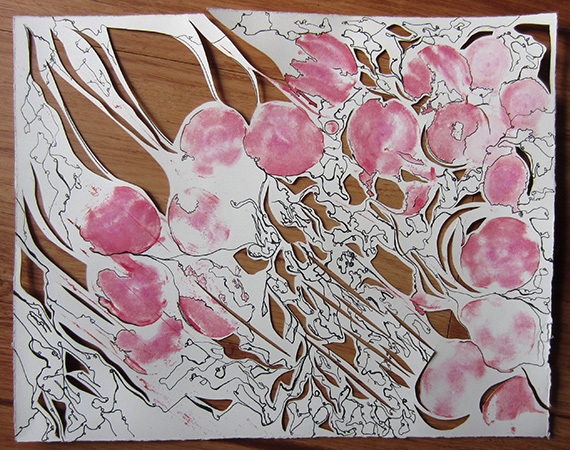 Once the drawing was created, I cut the paper, working within and around the ink drawing. One step in the process therefore directed the next step. 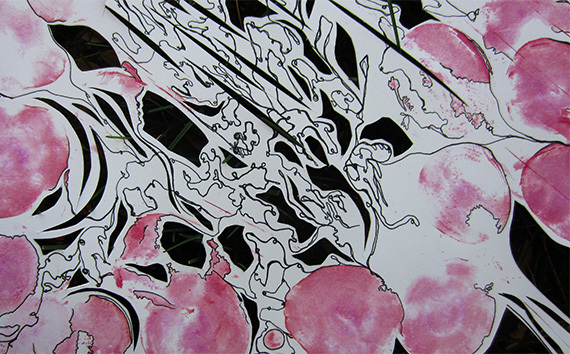 The result is a delicate 11 x 14″ piece whose sequential steps were integral to it’s development as a finished work. On top of that I really like the combination of soft color, hard edged cuts and organic lines. Very cool and creative. The delicate lines and the bold cuts create a very interesting juxtaposition. Love it! Thank you! That strange juxtaposition took a bit of time to get used to, but once it did, the piece started to grow on me.Sure appreciate the comment!